Peachtree Audio musicBox: Rock on! I love music! These days one of the best things is that you can always carry your portable music box, aka iPod, and listen to your favorite tunes wherever you are. But what if you really want to enhance your experience, craving to hear every single note as it was suppose to be heard? The perfect solution for that is the Peachtree Audio musicBox that will amplify your music to a higher level. 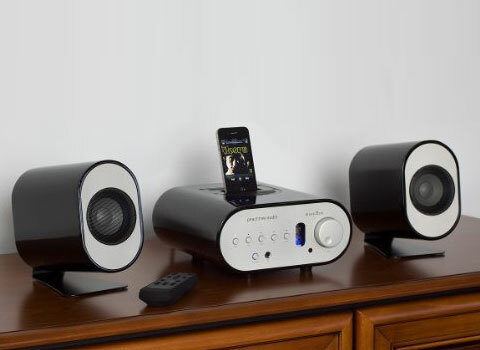 Today most iPod docking stations pass an old-fashion analog signal that reduces the quality of your music, but the Audio musicBox gets the digital signal from your device and with its own internal high performance digital audio convertor (DAC) you can hear every single instrument perfectly with a crystal clear sound. But what if you want to use this incredible musicBox with your other devices? 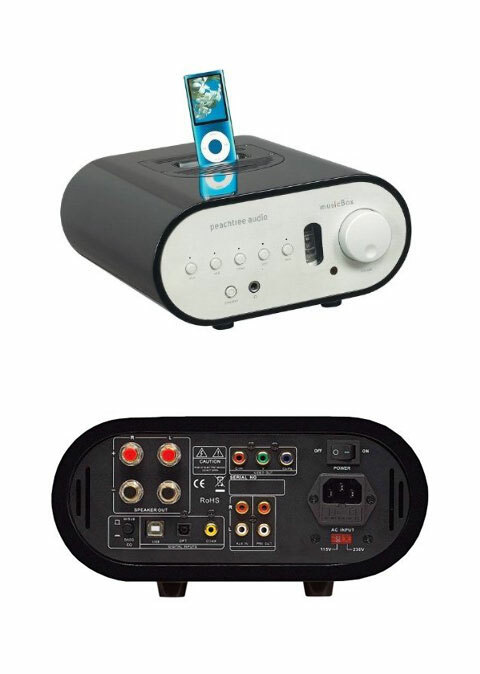 No worries, you can easily plug them all thanks to multi digital inputs on the back of the musicBox, so you can plug your TV, computer, consoles and even your favorite tuners such as Apple TV, Squeeze box and Sonos. For those who still have devices with analog inputs you can plug them too. And if you want to hear some music late at night you can always plug in your favorite headphones and get the same crystal clear sound. So all is left for you to do is to pump up the volume, sit back and enjoy!